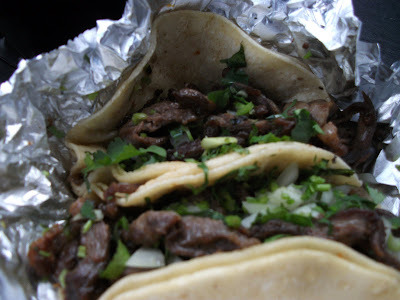 I have a certain favorite taqueria in SoCal where I had some of the best tacos I've ever eaten. I've been to a few places here in Metro Atlanta, but so far Mr. Taco is the only place that comes pretty close to what I had in Cali. I'm talking specifically about their "Mexican" tacos (two mini corn tortillas, meat, onion and cilantro). My faves are the chorizo, pastor and carne asada (pictured below). 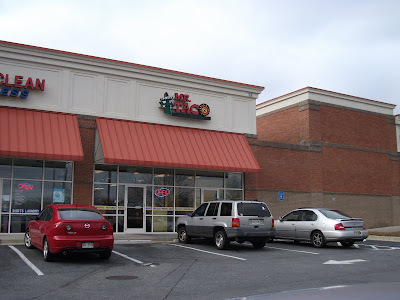 I'm a big fan of their salsa & condiment bar-I always go for the "guacamole" salsa whenever I visit. Sadly, the torta I tried on a past visit was a major disappointment. It was quite pitiful actually, with mushy tomatoes, mushy avocado and a sad little piece of cheese. I'm willing to give 'em another try-maybe it was just an "off" day for tortas when I visited. That said, Mr. Taco is still my "go-to" spot on the Northside for fresh, delicious tacos. They have an expansive menu of authentic Mexican specialties as well as "Americanized" fare.